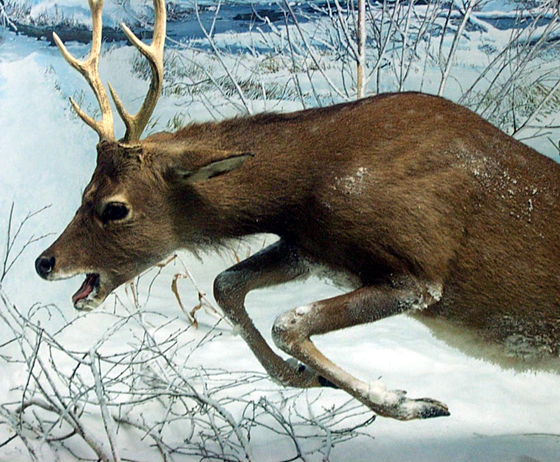 The sika deer (Cervus nippon) is a small cervid living in the forests of Siberia, Japan, Korea and Manchuria. Its coat is brown on the back and greyish on the belly. The antlers are short and poorly branched. They are most lively at night. Outside the mating season, the males live on their own, while the females make up small groups of 2 or 3.